I don't really have a favorite set of dice. I think players have favorite dice. I'm a GM at heart, and pretty much the worst player ever. My dice are the "Dice of Death" according to my players, and it doesn't really matter what ones I use. 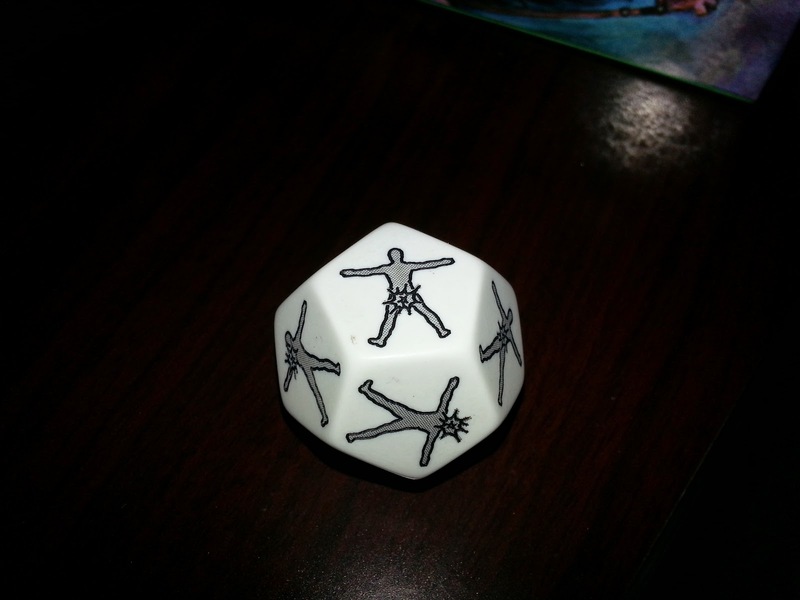 I do like this specific die. I use it for random hit locations for all my games. Wow this is a hard one. Back in my younger years, the Dragonlance series re-kindled my interest in D&D and I love Troy Denning's Dark Sun Books. If I am being honest though I have to give it to The Laundry Files novels by Charles Stross. In this case the RPG is based on the novels but it's somewhat circular. In the afterword to the first novel the author acknowledges Delta Green even though he didn't base the novels on it. Great minds think alike in my opinion.